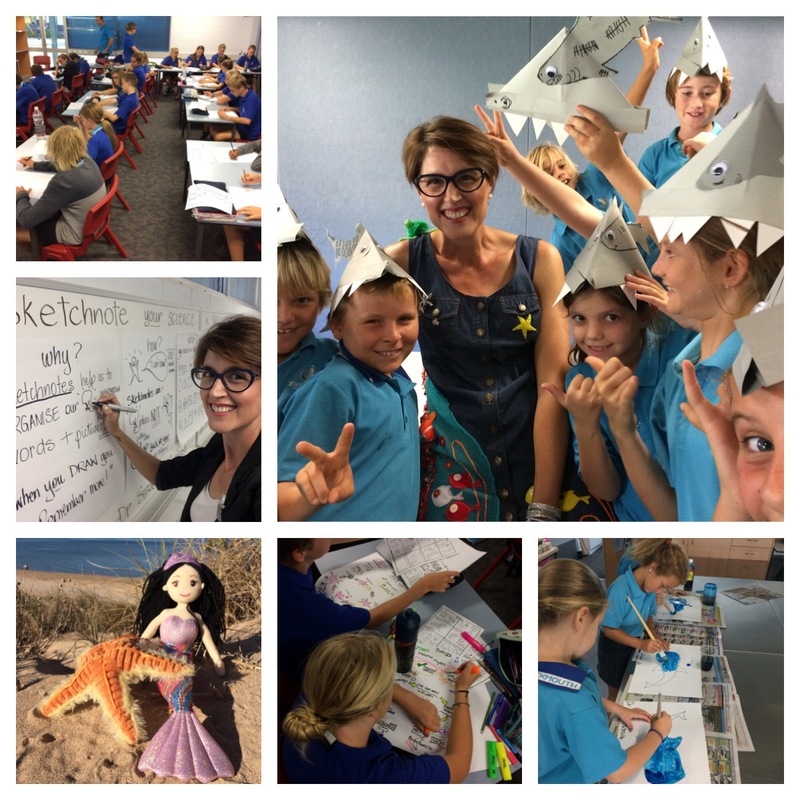 I’m excited to share that over the next six months I will be visiting schools and holding workshops around Australia about Our Living Oceans as my alter ego Dr Suzie Starfish. Using the art of marine science I will be bringing science stories of the sea indoors for kids of all ages! I use a range of interactive approaches to engage with students and kids as we all think and learn differently. So I use a combination of visual storytelling, multi-media and hands-on Sci-Art activities, like the always popular “Shark Art”! I also hold ‘Sketchnote your science’ in schools for students and teachers to help make learning and science visual, as “when you draw you remember more“!! I also hold workshops for teachers to learn the ‘art’ of sketchnoting your science as part of their Professional Development. As you can ‘sea’ from the photos using the art of education makes learning (and teaching) fun, interactive and memorable! I also have a new ‘Reef’ dress for when I’m working with kids which has been a BIG hit! Thanks to my very talented (and patient) mum for helping me create this special dress of wearable Sea Sci-Art! I must remember to wear my matching Dory fascinator next visit though, as the kids always ask where Dory is! You can dive in with me and follow my creative marine adventures as Dr Suzie Starfish on Facebook and @suepillans on Twitter and Instagram. ← Living my life with ESTEAM!